August 2017 - GoldSilver Central - Your one stop Gold, Silver and Platinum solutions provider! An Update on our Office Move: We’re slightly delayed! OUR NEW OFFICE IS ON THE WAY – we got slightly delayed. We’ll definitely let you know when we have officially moved. So stay tuned! Is Gold still considered a safe haven now? And not only just Gold; Silver, Platinum and Palladium bullion are safe haven assets as well. During turbulent times such as rising geopolitical tensions in key countries, investors are inclined to seek these metals for their financial portfolio. Recently, a paper done by Dr. Brian Lucey and Dr. Sile Li from the Trinity Business School was published and examined the following topic: “Reassessing the Role of Precious Metals as Safe Havens – What Color is Your Haven and Why?”. The results? · Gold trades little changed as investors focus on geopolitics, central bank meet. Gold prices were little changed on Monday as investors sought further direction after a week of geopolitical uncertainty in the United States and Europe and ahead of a meeting of central bankers later this week. · All that glitters is profit in China’s gold mines as demand for safe haven boost precious metal sales. Hedging demand triggered by political uncertainty became the main driver of the periodical increases in gold price. 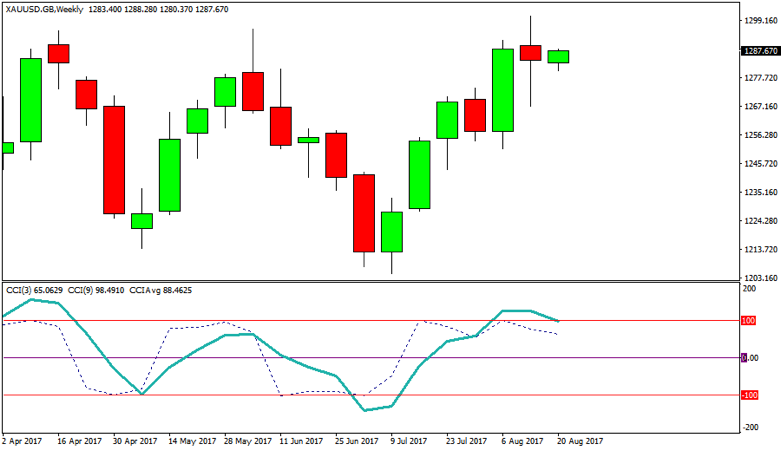 Short term cyclical indicators show an upward bias for the week as CCI (3) and CCI (9) continues to hover around the 100 level. 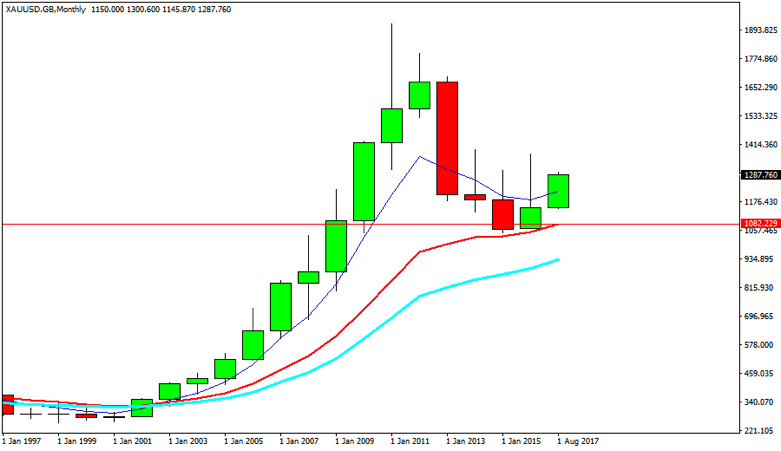 The nearest support level is now at USD1082 (13 period EMA) as gold prices continue to rise. In Non-Trending Mode markets (aka range trading markets), CCI directional Indicators have statistically demonstrated a higher correlation to market direction. Additionally, we overlay the CCIs in a format that further reveals the market cyclical structure and thus enhances market analysis. Commercials continued to decrease their long positions while increasing their shorts positions by -424 contracts and 13,652 contracts respectively during the period of 8/8/2017 to 15/8/2017. Gold rallied 2% to reach the 1290 level, a level last seen in June. This is the first time in 4 weeks that Commercials increased their shorts position significantly. The last time this happened, Gold rallied as well. Call us at 6222 9703 or email at bullioninsights@goldsilvercentral.com.sg to discuss with us how to further interpret the data.